Ingmar Bergman directed this film about two Swedish children, Alexander and Fanny. The family is full of love for each other. They are the owners of a local theater during the early twentieth century. Oscar has a stroke, and dies suddenly. After Oscar dies he visits his children as a ghost. They wonder why he doesn't go to heaven, and he reveals he is not ready to leave his loved ones. Their mother marries in less than a year to the strict and foreboding Bishop. They are moved to his cold dark house with none of the furniture or personnel belonging, such as toys, that could bring them comfort. The ghost of the Bishop's late wife visits them, and warns them of his dark controlling ways. When they tried to escape from being locked up for days, the mother and her children drowned trying to cross a freezing stream that flows behind the house. Alexander tells a servant what he was told, who in turn tells the Bishop. The Bishop locks Alexander up, and makes him recount the story. The Bishop does everything he can to break Alexander. A friend of the family shows up unexpectedly to purchase a chest. Isak (Erland Josephson) actually wants to smuggle the children out in the chest. The mother drugs the Bishop in order to help them leave. The Bishop's ghost family shows up helping the children escape. While at Isak's residence, Alexander meets Ismael Retsinsky (Stina Ekbald). A fire starts at the Bishop's house that Alexander dreamed about. The fire causes the death of the Bishop. The children and their mother then move in with Oscar's family. His brother toasts everyone, saying there are things one should enjoy, such as food, and dance. The things one knows, and also the things one doesn't know about. He doesn't mention the ghost specifically, but these are the things we are ignorant of. In the end the ghost of the Bishop appears, and pushes Alexander down. 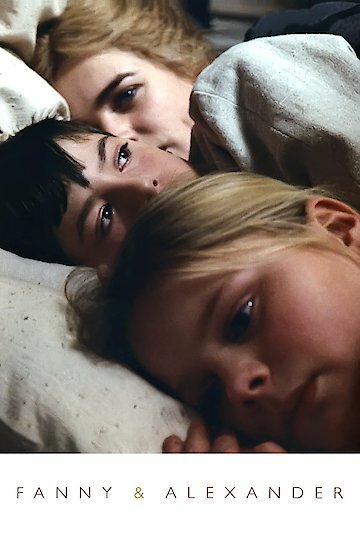 Fanny and Alexander is currently available to watch and stream, buy on demand at Amazon, iTunes online.